I’m starting a new case study and giving you a play-by-play documentation of how I’m gonna build my main list to 5000 leads by the end of February. In addition, the list that I’m building in Case Study #1 which you can read about HERE, will be 1000 strong, a buyers list. So, by the end of February I will have a total of 6000 new names on my list, in addition to previous lists, once of which is 985 strong right now. Although I have other lists, I’m only counting that one as the others I’ve let go over time. Other traffic sources yet to be determined. I don’t usually advertise on Google because their prices have risen faster than my bank account. However, Google made a change to their keyword tool a while back. If you use it now, and don’t advertise with them, the results they give you are very, very general. For instance, if I were to look up a keyword of, say, “how to loose weight” it may give me a result of 1500-10,000 searches per month – hardly specific enough to base any kind of decision on which keyword to use on my blog (This is hypothetical – I have no idea what search results are for that keyword – I’m using this as an example). Therefore, I’m gonna spend a little money on Google Adwords to see if I can regain access to very specific keyword data. Also, I know that to build a list this fast, I’m gonna need to spend money on advertising. If you’ve read any reports or postings elswhere by me, you know I’m all for spending money to make money. Free traffic is OK and I’m gonna have a mix of both paid and free. However, free traffic takes much to long to see results large enough to make a difference. If you wanna build a business, you gotta buy traffic. It’s just that simple. Everyone I know that’s grown their business to 6-figures or more have used paid traffic. PLEASE KEEP THIS IN MIND: Paid traffic does not mean you’re spending money with no return! What I’m doing, and what you should be doing, is using a “self-liquidating” offer. What that means is you’ll be giving your opt-ins an offer immediately after they sign up. Now, you should change the wording to match your own offer but you get the idea, right? If your traffic is targeted, you should be getting about 1-5 people buying your offer for ever 100 that opt-in (1-5%). 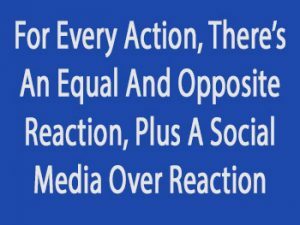 That means, if you have 500 opt-ins, and your selling an affiliate product that pays $25.00 per sale, you’ll make $125.00 in commissions (1% of 500 = 5 sales). So if you spend $125.00 on those 500 opt-ins, you broke even. If you spend $300.00 on those opt-ins, you invested $175.00 for 500 names on your list. If you spend $75.00, you made $50.00 profit. Do you see how this works? If you’re lucky, you’ll break even and that should be your goal. However, this probably won’t happen at first. You’ll need to test and tweak your ads. More likely is you’ll reduce your cost per lead. Don’t be afraid to invest money into your business. It will pay off handsomely in the long run. Use free traffic – some methods can produce good results quickly but many will take time. I’ll be covering some free traffic methods later. Be sure to check back. 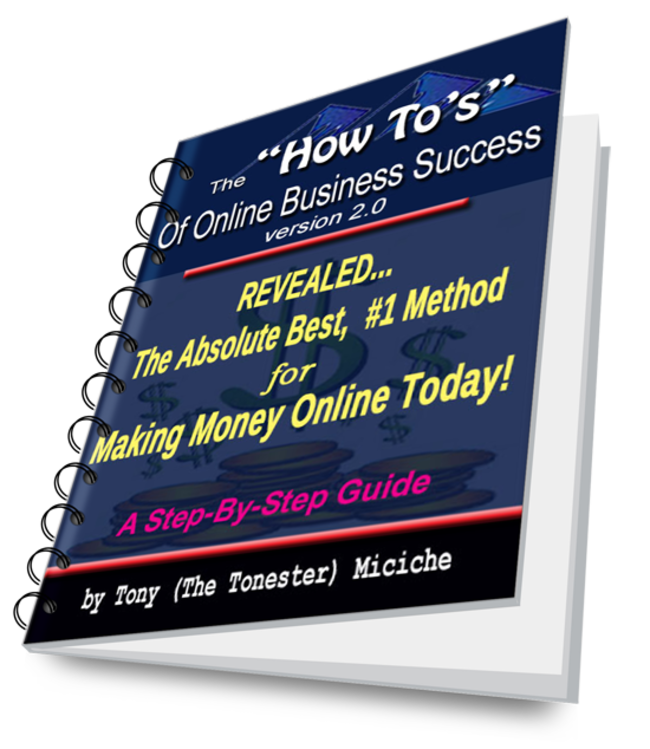 Subscribe to "Tonester's Tips," our awesome email advice column for internet marketers, and receive this PDF FREE! YES, Tell Me The Best Method To Make Money Online!